Bellagio Presents Claude Monet – Be Inspired! …and Get ArtQuenched! Organized in partnership with theMuseumofFine Arts, Boston (MFA), this landmark exhibition features works that illustrate the height of Claude Monet’s engagement with color and light. 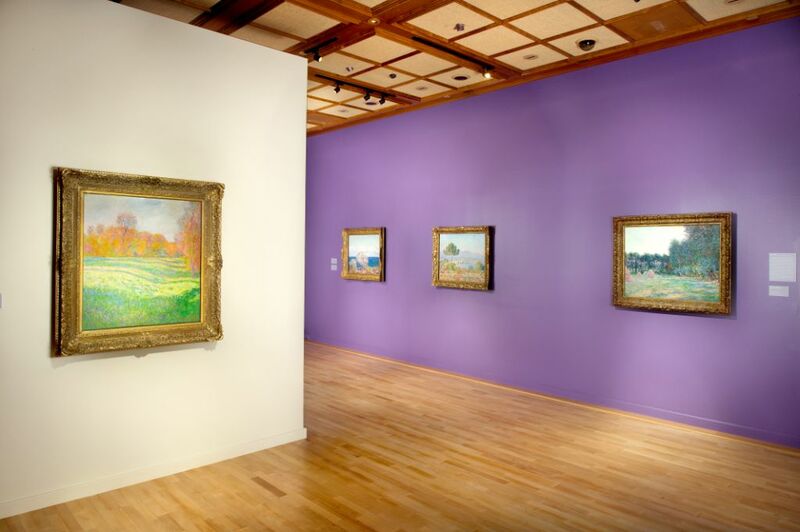 BGFA showcases 20 pieces by Monet, the founder of French Impressionist painting, accompanied by eight additional canvases by the master’s predecessors and contemporaries. All of these works are drawn from the MFA, which holds one of the largest collections of paintings by Claude Monet outside ofParis. Spanning four decades of Monet’s career and featuring many of the artist’s most celebrated and recognized paintings, “Claude Monet: Impressions of Light” also highlights paintings by other masters of the genre including Jean-Baptiste-Camille Corot, Camille Pissarro, Eugene Louis Boudin, Charles-Francois Daubigny, Constant Troyon and Paul Signac. It was from Monet’s collaboration with these painters, along with his solitary explorations of the French countryside, that his own signature style eventually emerged. “Claude Monet: Impressions of Light” is on view through Jan. 6, 2013. BGFA is open daily from 10 a.m. to 8 p.m., Last admissions are sold 30 minutes prior to closing. Tickets are $15 for general admission; $12 for Nevadaresidents and seniors 65 and older; and $10 for students, teachers and military with valid ID. Children 12 and younger are free. Tickets and information are available by calling (702) 693-7871 or (877) 957-9777, or online at www.bellagio.com. Audio tours are included in the price of admission and complimentary docent tours are available daily at 2 p.m. The Museumof Fine Arts, Boston (MFA), is recognized for the quality and scope of its encyclopedic collection, which includes an estimated 450,000 objects spanning all cultures and time periods, most of which are online at www.mfa.org. The Museum’s collected works encompass Art of the Americas; Art of Europe; Contemporary Art; Art of Asia, Oceania and Africa; Art of the Ancient World; Prints, Drawings and Photographs; Textiles and Fashion Arts; and Musical Instruments. The Museum welcomes approximately one million visitors per year.